Book Windermere lodges, including Windermere lodges with hot tubs, from our choice of 88 lodges at 10 locations around Windermere lake and Coniston. Find details below or go to Map View. Windermere lake is the most popular destination in the Lake District. Apart from the beautiful scenery, superb walking and easy access to watersports, there’s a host of attractions and things to do nearby when you book a Windermere lakeside lodge. Set in 60 acres of woodlands running down to the lake shore, and with extensive facilities, these family friendly Windermere lodges are in high demand. 16 lodges. On the lake shore, family friendly Bowness-on-Windermere lodges in a lovely setting and close to all the visitor attractions & facilities. 18 lodges. 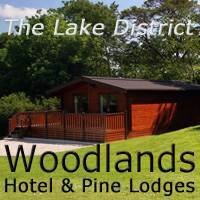 Luxury Windermere lodges in a tranquil Lake District hideaway set in natural woodland. With private lake frontage and slipway. Perfect for romantic breaks. 6 lodges. 1 mile of private Windermere lake frontage. Fully licensed shop. Children’s play area. A pet friendly lodge. 2 pods are pet friendly. Book your Windermere lodge in some of the most beautiful and tranquil countryside in the Lake District. Family friendly lodges nestled in rolling countryside just 3 miles from Windermere Village and 5 miles from Ambleside. 14 lodges. Peacefully located in mature grounds in beautiful Lake District countryside near Crook, just 10 minutes drive from Bowness-on-Windermere. 2 lodges. A private holiday park set in wild woodland just 7 minutes drive south of Lakeside Pier on Windermere lake. 2 holiday lodges. Situated in 3 acres of private Lake District woodland. Just 15 minutes to Lakeside Pier on Windermere lake and 8 minutes to Grange-over-Sands. 11 lodges. Luxury lodges nestling peacefully in tranquil meadowland. 3 minutes from pretty Cartmel village and just 17 minutes to Lakeside Pier on Windermere lake. 13 lodges. The Lakeland village of Coniston, with its pretty lake Coniston Water, is a short drive from Windermere lake. Here is a quieter Lake District but still immensely popular with visitors. Very atmospheric, with superb scenery and walking and wonderful old worlde Inns. 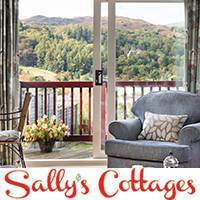 Boutique lodges in a beautiful, elevated setting above Coniston Water. 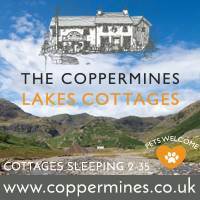 Wonderful Lakeland views of the Old Man of Coniston and other surrounding fells. 5 lodges.